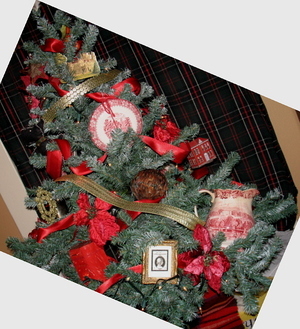 9 posts categorized "Victorian Christmas"
Well I am sooo busy glittering, decorating, trying not to buy stuff ;-) I can not think strait, so I am doing a vintage post. 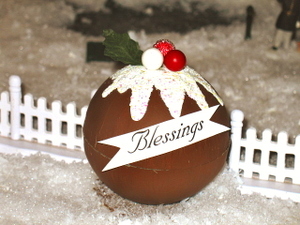 I have noticed on my stats several boards have been talking about my figgy pudding box tutorial, so I thought a reminder of this post might be appreciated by all. I can not say enough about German Plaza. Their prices are wonderful, they are east to deal with and fast. I did notice on one board talking about the boxes and wondering were I get the poppers. I get bags of 12 of them at my local dollar store. They are so cheap and a fun thing to do on Christmas. 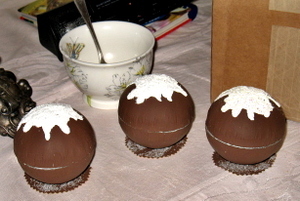 Also the figgy puddings are not balls I cut open but rather boxes that already open. I hope that answers question about the figgy pudding boxes. 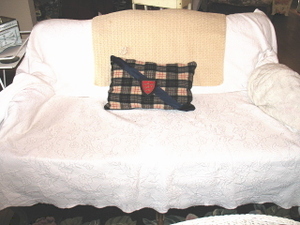 Thank you for the kind words about my couch. I still am not thrilled with it, but you lades were so sweet to let me kvetch. You also asked about the chinaand who made it. I looked on the back, most pieces just say Japan. But some say royal vista by 4cagco Japan, also westwood Japan. I hope that helps. 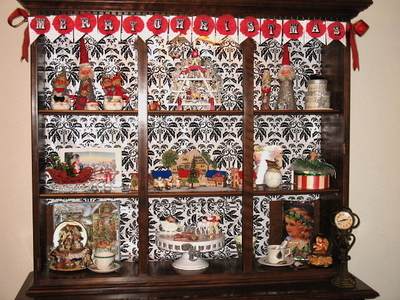 I hope you are have a wonderful time decorating for Christmas. PS. 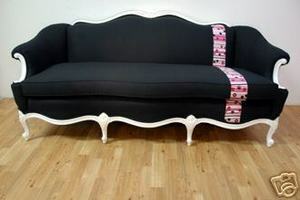 here is a sofa I would rather have !!!! 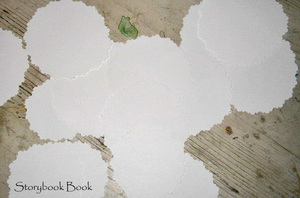 Lightly trace circles on card stock and cut out circles using edged scissors. 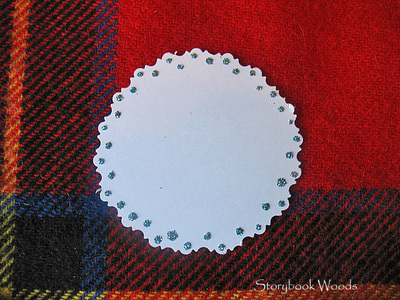 Using the scalloped edge as a guide, make dots of paint or glue, then glitter. 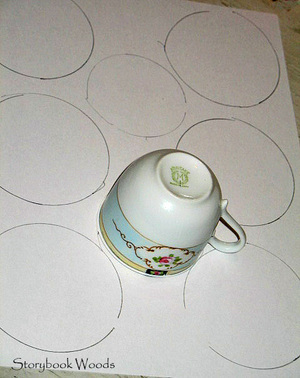 Doing tiny dots is easy. I just learn to let the brush slowly drop down of the paper (while I am holding it ;-) instead of pushing it down on the paper. Hope that makes sense. Let me know if you make any !!!! It was a perfect day full of love, blessings and yummy things. I am hoping we can carry the magic through the year!!!! Well I had soooo many craft ideas planed but time is getting short and have not gotten to a lot of them. But I did finish these wonderful Figgy Pudding Boxes. I am sooo happy with them. We always have every Christmas, Christmas crackers. 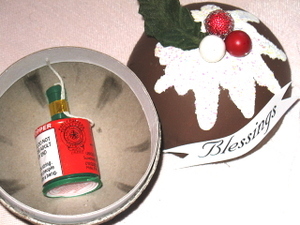 But this year I made these boxes and put poppers in them. I got my boxes at German Plazaand am sooo happy with them. I have made several orders with this company and have been delighted. 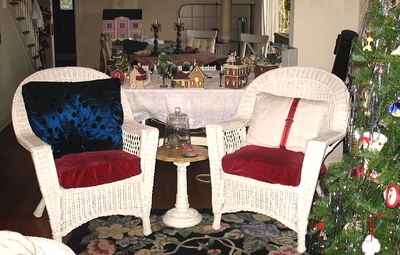 They have an amazing assortment of vintage dye-cuts, Dresden trim, paper boxes, ect. I highly recommend them and they have the best prices around. 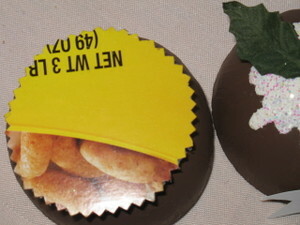 I painted the boxes with two coats of coco brown acrylic paint and cut a small circle from a cereal box for the base. I painted and glittered it. I was hopping it would look like a cookie. Glue the bottom of the box to the base. I went around and around how to do the "frosting". I ended up drizzling white acrylic paint and it turned out great. The best way to describe what to do, is to drizzle the paint. 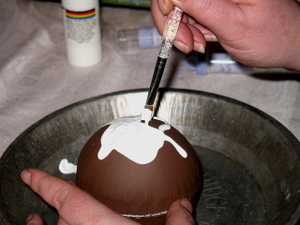 Leave the dripping ends alone and spread the inner paint around. Does that make sense ? 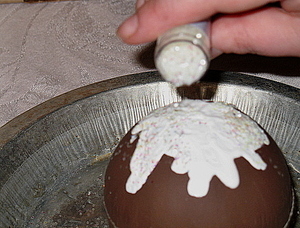 While paint is wet, cover with glitter and shake off excess glitter and let dry. After paint is dried, I glued a holly leaf and berries on top. I could not find holly leaves I like. So I ended up taking silk leaves I loved and trimmed the edges to give them a holly shape. 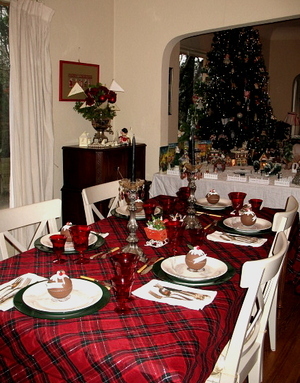 I know there are not white and frosted holly berries, but I so loved the look. So I took liberties. 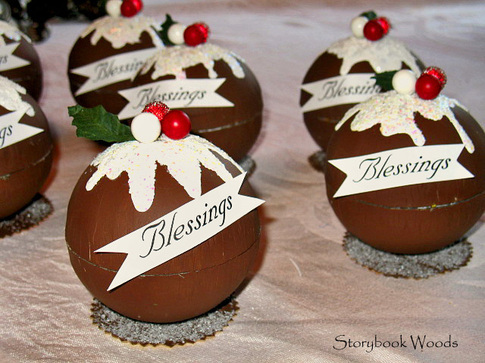 I cut blessings tags and glued each end to the top of the box. Fill with poppers and wah-la !!! 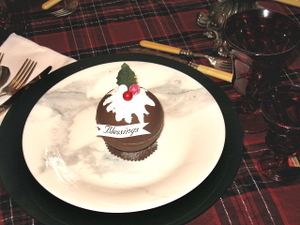 I think these will look so cute at each place setting. 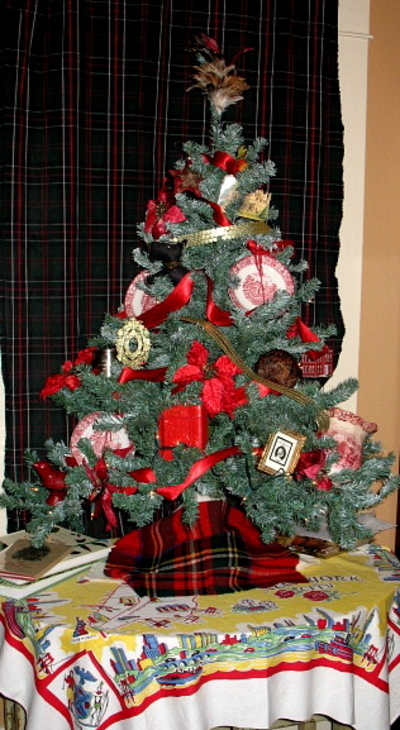 Yes another Christmas tree (and I still have to show you the one in my kitchen). This is my tree. It is in the library . 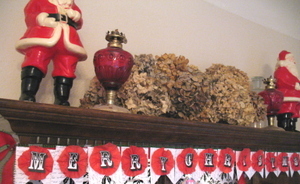 I had fun adding my red transfer-wear, bits and bobs I had around the room and the feather tree topper. 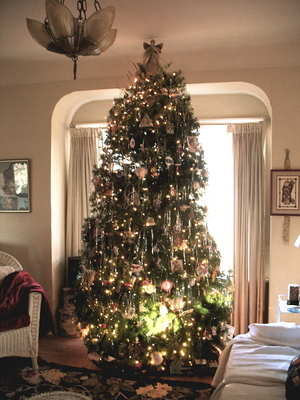 This room is were I spend a lot of time (with my lap-top) and love looking at this tree. 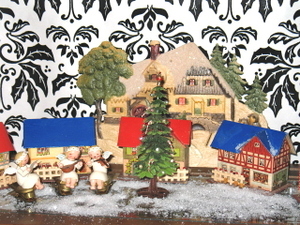 I also forgot to show you our village called Noel Circle. David made me a table top 3 feet by 5 feet. We have so much fun setting this up and leave up through the winter. We like to talk about what life in Noel Circle is like. I will tell you this there is lots of chocolate and nature walks !! Well I am having a fun weekend. Dear hubby surprised me and the girls and took us to my favorite restaurant the Wild Coho. It has been so long since we got dressed up and had an amazing meal. And today I am off to a tea party !! Lots of fun and love. I realized I did not write much about my theme. Like I said it is a English/Victorian look. 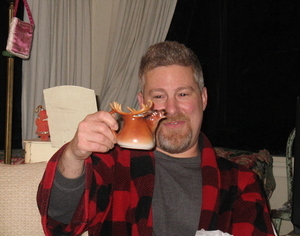 I use to be so trendy but I am getting old and out of trend. I confess I do not like the simple modern look. I love the over-the-top Victorian magazine 90s look. Especially at Christmas. I want my house to look like a jewel. I also like a lots of color in the winter because I use all white in the summer (and am sick of it buy winter) and it is soooo gray in WA. 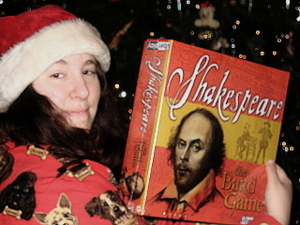 So I really like lots of red at Christmas. This is year I used red/white/black/gold/silver. 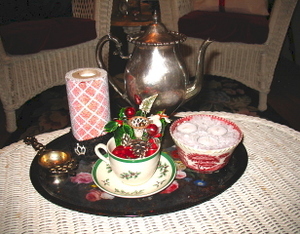 I pulled out a lot of my silver pieces, spoons, ect to use scattered among the Christmas stuff. I was thrilled to find this flocked back and white wrapping paper at Target. Last year I lined the back of the cabinet with embossed gold paper. I really like both of them. But I love the pop of the black and white and how it goes with the banner. I was lucky to be given by my MIL a lot of vintage Christmas stuff. 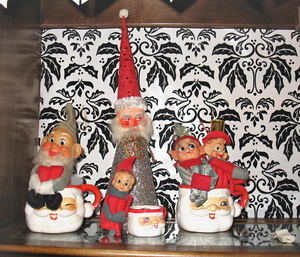 These elves are from when David was a little boy. He remembers them around the house. 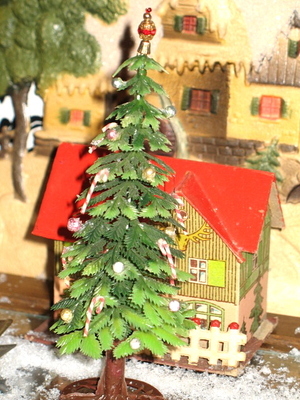 I had to show you up close this doll house Christmas tree. It is plastic but has little colored balls and candy canes glued to it. And look at the topper. I wish I could take better pictures but it is a ruby jeweled topper. I am sooo in-love with this tree. I am going to have to get my own doll house. 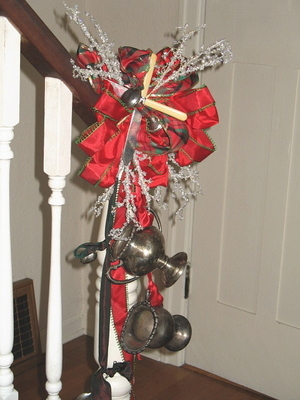 I decide this year instead of garland running up the banister I would just have something large at the foot of the stairs. I can not tell you how my times I redid this. I worked on it for 3 days and it is still not what I wanted but I finally had to say enough and embrace what I had done. I do love the silver pieces tied in it. This is a centerpiece I did for the party. I will talk later about the paper flags !! Thank for looking. I still have a loTTT more to share !!! Well ladies I hear you I will not mess with the cameo !!! Thank you for the input. The party was wonderful. You know when you have girlfriends who you can be you, you could say anything and you laugh so much you can hardly eat. Well thank you CM ladies for being that for me. Here is my living room. 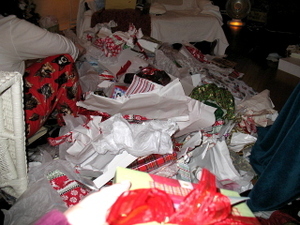 I confess I am bad mom and I decorate the whole room but the tree. 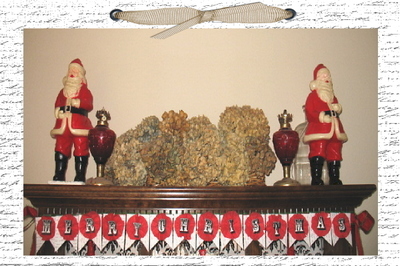 I just let the girls put up all the ornaments and then I come by and cover it with tinsel. I change the decor every year but the tree is the same. I always use tinsel. It is like a little black dress, it goes with everything. 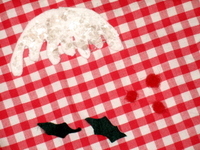 This is my Chritmas banner. I am soo thrlled with it. I used the paper below for the back piece and I cut out letters from Allsorts alphabet. 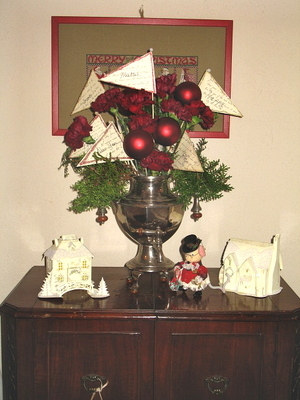 I used red crepe paper for the gathered piece. I just pinched the paper in a circle and glued that onto the back piece and then glued the letter on. I ened up adding each letter onto the ribbon with a paper clip, which worked great. 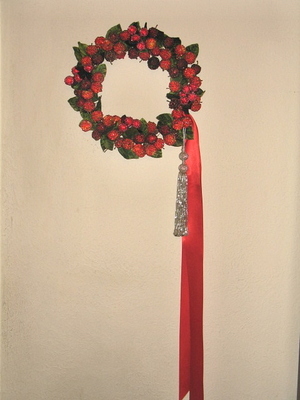 Now I and adjust the length of the garland. These picture do not show how wonderful this banner turned out. It gives a ruffled top to the cabnit. Soon I will show the whole cabnit. I wanted to share if anyone is on Bainbridge Island this Saturday and Sunday, my friend Angie is having a craft show. 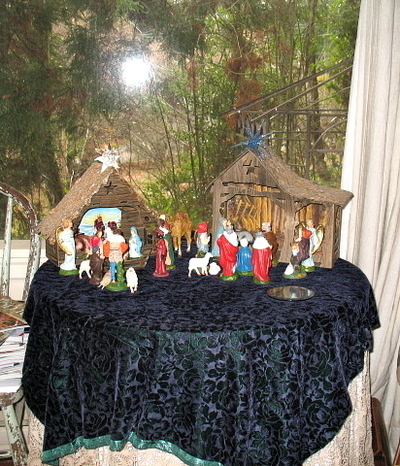 She will be selling Waldorf dolls she made, wooden toys her husband made, frankincense, ect. 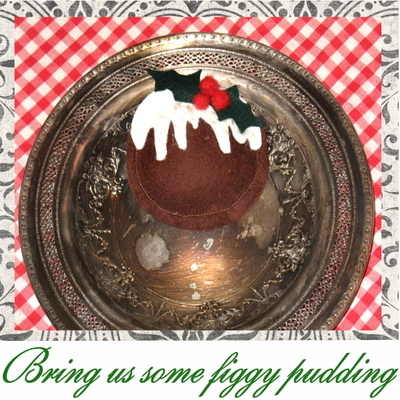 I will be selling my figgy pudding ornaments and the children have made some items also. She lives on Manual Road. There will be a sign on the highway. Here I have made a figgy pudding ornaments. 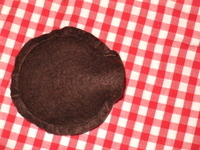 I have used wool felt. 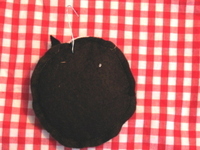 If you have never used wool felt before, please do. Even if you have to buy the wool blend at Joanne’s. It is soooo much nicer and easier to cut and work with then poly felt. 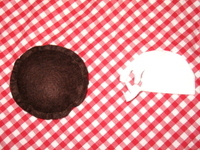 I cut two circles of brown felt. 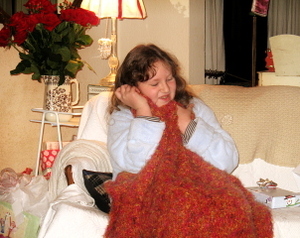 I sewed them together and left a opening to stuff with wool or poly fleece. I stuff the circles, but not too much. I found if I stuffed them to full the edges wrinkled. The I sewed the opening closed. To make the icing I cut a half circle. 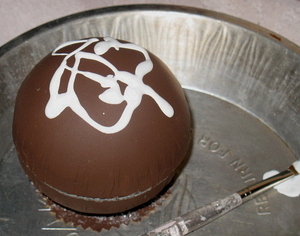 Then cut the icing edge. It worked better for me if I cut them free hand, instead of using a pattern. Just remember to make some long, some short, some fat, some thin. Just like icing. Then glitter the icing. I use fabri-tac and sprinkled glitter. I used mica flakes but really just clear glitter would look fantastic. Cut-out two dark green felt leaves. I had Chloe needle feltedme berries. But buttons, bead, silk holly, ect would work. 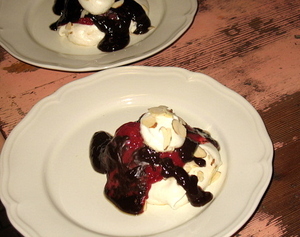 Then glue (using the fabri-tac, everyone should own a bottle of this stuff) the icing on the cake, then the leaves, then the berries. I did not want loop hanging of the top (but you could add a loop when you are sewing the cake up) So I ran a hook through the back of the cake. I wanted to say that you do not have to sew the cakes together. You could glue the circles together with the fabri-tac. It is perfect for this type of craft.